Australia has joined many Western countries in recognising Juan Guaidó as the interim president of Venezuela. 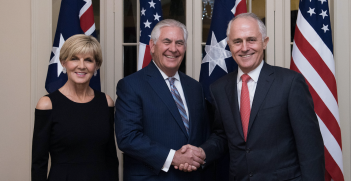 This move is consistent with Australia’s interests in the region and its promotion of open democratic governance and the rules-based international order. 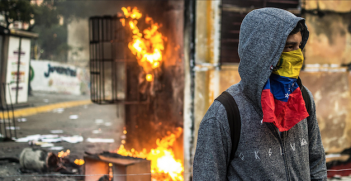 The situation in Venezuela has deteriorated dramatically in the past year, to the extent that it has become a crisis also affecting neighbouring countries and the region as a whole. As Alexandra Phelan and I mentioned a few months ago, as the Venezuelan economy plunged into hyperinflation it has seen more than three million Venezuelans (about 10 percent of its population) leave the country in the last three years. Many fear this number could increase even further (potentially double) in a relatively short time if nothing is done. A particular troubling point is the deterioration of the state and the growing presence and relevance of mafia networks controlling key sectors in the economy. This has turned Venezuela into a rising geopolitical risk with no solution expected in the short term. The protracted economic, political and humanitarian crisis entered a new phase in January. At the time of writing, the country has two presidents claiming legitimacy. The first, Hugo Chávez’s political heir Nicolás Maduro, has been governing the country in an increasing autocratic fashion since 2013 and claims a right to keep ruling for another term until 2025 on the basis of a very questionable presidential election that took place back in May 2018. The second, Juan Guaidó, is a member of parliament for the opposition party Popular Will (Voluntad Popular) and was appointed the president of the national assembly in early January. 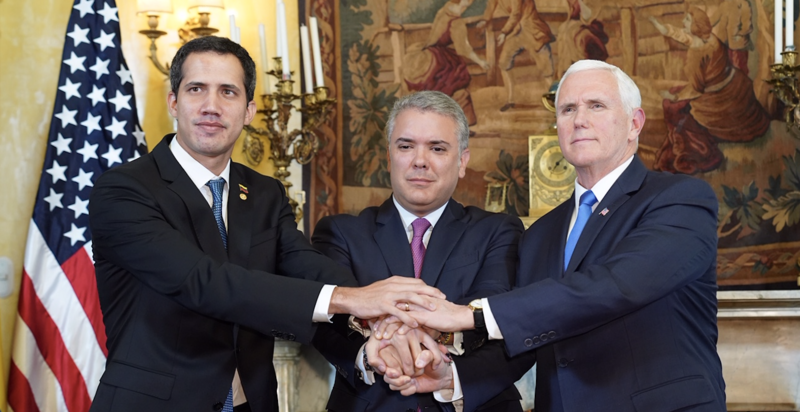 Guaidó refused to recognise Maduro as a legitimate president on the basis he was not elected in free and fair elections. He decided to act as interim president for the purpose of restoring the country’s democratic constitutional order. This he justified on the basis of articles 333 and 233 in the 1999 Venezuelan Constitution. He has laid out three key sequential objectives: to cease (Maduro’s) usurpation of power, to establish a transitional government and to hold free and fair elections. More than a month has now passed since Guaidó began acting as interim President. Since then, more than 50 countries have recognised Guaidó as President, including Australia. On 28 January 2019, Canberra officially recognised Guaidó “in accordance with the Venezuelan constitution and until elections are held.” Foreign Minister Marise Payne has also urged all parties to work constructively towards a peaceful resolution of the situation,” showing her concern over the prospects of violence in the embattled Latin American nation. The opposition leader Bill Shorten has also backed this decision and there seems to be no major disagreement within Australia’s political leadership. With this recognition, the Australian Government joined a large group composed of the United States, Canada, many countries in the European Union and the Group of Lima bloc (a group composed of a large number of Latin American nations that have been working in coordinated fashion with regards to the Venezuelan crisis since August 2017). The Group of Lima includes several of Australia’s main partners in the region such as Argentina, Brazil, Colombia, Chile and Perú. Other countries like Israel, Japan and South Korea have also endorsed or officially recognised Guaidó. On the other hand, the Maduro Government has received support from its traditional allies in the region and beyond, including Cuba, Bolivia, Nicaragua, and several major non-Western powers ruled by authoritarian regimes like China, Russia and Turkey. Other countries such as Mexico and Uruguay have declared neutrality or acknowledged the need for a peaceful solution to the conflict without recognising Guaidó. The strongest faultline seems to be between Western liberal democracies and Eurasian hybrid regimes and autocracies, though a large number of countries did not take an explicit position one way or another. Although Venezuela is far away and seems to have little engagement with Australia, the Government’s decision to recognise Guaidó makes sense. Guaidó’s stance based on restoring the democratic order and promoting free and fair elections resonates strongly with Australia’s stance regarding the importance of democratic values, the protection of the rule of law and maintaining the rules-based international order. The Australian government has expressed concerns about the deteriorating situation in Venezuela for some time, ever since the country’s social and political conditions began deteriorating. For a long time, Australia’s position had been to encourage a domestic solution amongst Venezuelans by seeking to promote mutual recognition between the Maduro government and the opposition, and by joining other countries proposing dialogue as a preferred solution to the conflict. This pro-dialogue position persisted even when Australia refused to endorse Maduro’s sham presidential election in May 2018. As a member of the Human Rights Council, Australia has also joined other countries in acknowledging the multifaceted dimensions of the crisis in Venezuela, calling on the Maduro government to respect human rights and restore access for humanitarian assistance. The collapse of Venezuela affects some of Australia’s closest allies in the region quite significantly. Colombia, in particular, is a country where Australia has substantial economic interests (especially in the education, mining and tourism sectors). A new Australian embassy, which is also responsible for relations with Venezuela, was built there in 2017. Colombia has become increasingly prosperous and peaceful in the past decade, but the country remains vulnerable to conflict and instability. Colombia’s National Liberation Army (ELN) has strengthened its presence in Venezuela and, following deteriorating negotiations with the Colombian Government, there is now the potential for conflict in Venezuela to spill across the border into Colombia. The crisis in Venezuela also has the potential to threaten Colombia’s peace process with the Revolutionary Armed Forces of Colombia (FARC), to further entrench growing political polarization and to add to the already persistent problems caused by the drug trafficking industry in the country. Moreover, as we noticed in the recent episode involving the attempt to bring humanitarian aid from Colombia into Venezuela – an act sponsored or endorsed by the US and Colombian governments – the situation is delicate, complicated and can quickly lead to violent incidents. This is yet another reason for Australia to monitor the situation closely. The Australian Government has also taken notice of the hard daily realities of the Venezuelan population living in Australia. Although it is relatively small (approximately 6,000 according to the latest Census figures), the effects of the crisis on their livelihoods is distressing, to say the least. Most Venezuelans living in Australia have relatives in Venezuela. These often include aging parents who have to face adverse conditions for people of retirement age such as the lack of a functional pension system (they typically receive less than 5 dollars a month), a crumbling health care system and lack of medicines and essential items. A substantial proportion of the Venezuelan-Australian community, especially those who are already citizens and permanent residents, have become civically and politically engaged and made a range of efforts to lobby Australian government officials. Recent measures taken by the Australian Government to help Venezuelans include granting priority access for Venezuelans to humanitarian visas under the Community Support Program (Subclass 202) and engaging closely with the Venezuelan community to ensure access to other visas. 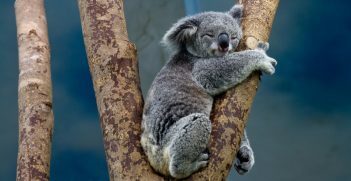 Given Australia’s response to the crisis, it would be misleading to portray its stance as adventurous, openly interventionist or a mere “pro-Trump” knee-jerk reaction. Instead, it seems to be a move consistent with both Australia’s overall approach to the region and its own priorities. Yet, as we have seen in recent times, multiple stances have emerged about how best to engage with the crisis as it worsens. These have ranged from pushing for negotiations between the government and the opposition to restore democracy in the country to (controversially) proposing or advocating for different types of foreign-sponsored military intervention efforts. Dr Raul Sanchez Urribarri is a lecturer in Crime, Justice, and Legal Studies at La Trobe University. His work focuses on understanding the factors that define and condition the performance of judicial institutions and the behaviour of judges and other legal actors across different political systems. His research is linked to different scholarly traditions, including Comparative Law, Law and Society, Comparative Politics and Judicial Politics. His teaching agenda includes a variety of subjects such as Research Methods, Law and Development, Comparative Politics, and Latin American Politics. After political unrest, a constitutional crisis and months of protests, Venezuela's president is trying to rewrite the constitution. But while constitutional change seems inevitable, it is unlikely that it will quash the unrest.